Home » Post tagged "Process"
I had a very pleasant surprise yesterday. Lisa Ellwood (she will tell you below how she came across me) tagged me on a note on Facebook that she had written. A year ago I wrote a post on “Going into the New Year with Momentum” where I mentioned about how, through your perspective, you can have a great momentum in going into the New Year. I didn’t know until I saw Lisa’s note yesterday, that she had applied what was in that note and (in her words) EVERYTHING she had written had come to fruition even down to the time periods specified. As she will tell you, she is someone who has had some challenges, including “clinical depression”. I will paste Lisa’s note and do feel free to share your thoughts and write YOUR answers to my exercise in the comments below. By the way, on Saturday 9th January there will be a free teleseminar about making the most of 2010 for YOU, keep an eye out for more details soon. This is a great addition to my New Year’s Traditions. 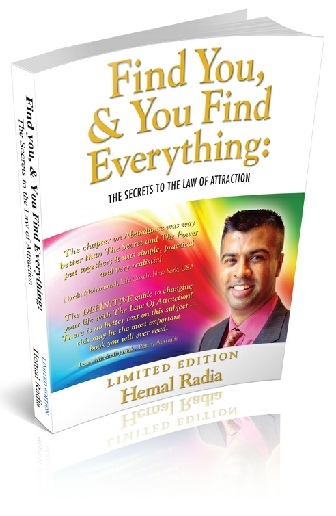 My dear friend Michelle H. turned me onto The Manifesting & Law of Attraction Page founded and run by Hemal Radia here on Facebook last year (http://www.facebook.com/ManifestingLOA). The timing was quite fortuitous as it was nearing Christmas. Hemal did a post where he talked about *Going into the New Year with momentum*. In essence, you are compelled to do a lot of self-reflection – never a bad thing at all and especially if you are in denial about taking control of your life and your ability to create the future that you want for yourself. I can honestly say that just about everything I wrote for 2009 came to fruition even down to the time periods specified. Quite profound for one who struggles with positive thinking (being clinically depressed doesn’t help), meditation and visualisation. Below is the exercise Hemal had us follow. I’ve made a couple of slight tweaks but this is the general format.